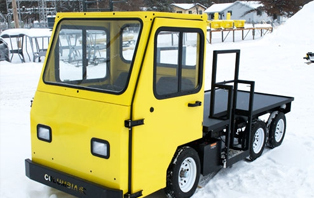 Columbia Utility Vehicles ParCar | KMH Systems, Inc.
American workers in Reedsburg, Wisconsin assemble each of Columbia’s products with a focus on producing vehicles with the longest life-cycle in the industry. 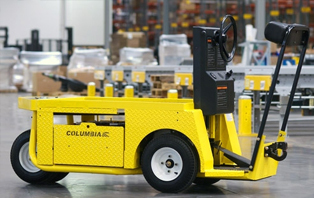 Using the highest quality materials available, Columbia’s energy efficient vehicles will serve KMH customers well for years to come. KMH believes a product that lasts longer reduces our overall impact on the environment. With this same concern for the environment in mind, Columbia is one of a handful of vehicle manufacturers committed to exclusively building Pure Electric vehicles. People need to get where they are going quickly to keep things running smoothly. 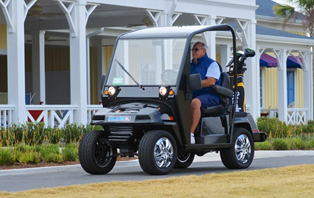 You may need to move one key employee around a large plant quickly or move 14 guests around your amusement park or zoo, we have an electric vehicle that can handle that and everything in between. If you have personnel walking when they should be riding you are wasting money. Forklifts are not the ideal piece of machinery to tow materials or other equipment around your facility. 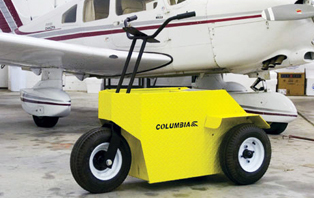 We offer highly maneuverable tow platforms for loads of up to 14,000 lbs. If you are looking to pull a small utility trailer or maybe an empty semi trailer we’ve got you covered. Use the right tool for the job and save money while you are at it. 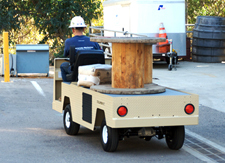 Our vehicle line can carry loads up to 6000 lbs. indoors and out. 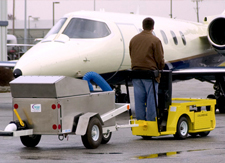 If you need to move a heavy load in tight quarters we can handle up to 1200 lbs. down aisles just 30 inches wide. Pure Electric power means there is no emission or noise polution to worry about. Make one of our burden carriers an integral part of your material handling system. Your job requires you to be versatile, so you need a vehicle to match. 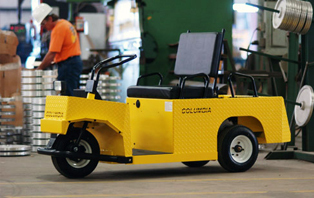 Columbia’s line of utility vehicles is the swiss army knife of transportation. 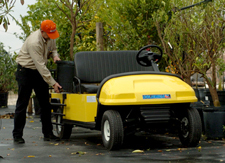 Move cargo around a nursery in the morning, and carry customers and their purchases to their cars in the afternoon. 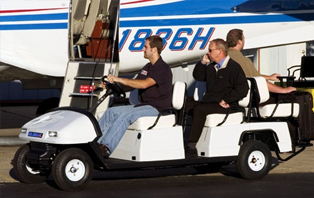 When your transportation needs are a mix of passengers and cargo, choose a utility vehicle. 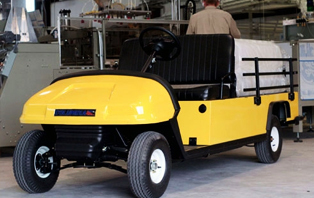 The Expediter™ is your Productivity Partner; getting you where you are going quickly and safely. 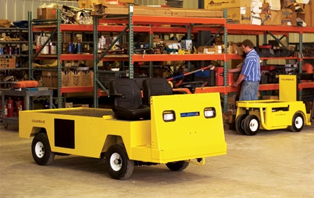 Its narrow design and short turning radius enable you to transport personnel and payload through the “tight spots” and right up to the job site with ease. 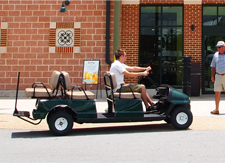 The fold down seat back quickly converts the Expediter™ into a two-person transport, making it the ideal working solution for warehouses, industrial complexes, hotels, resorts, shopping centers, campuses and many other. Fun enough to take you where you want to go, tough enough to drive where you have to go. 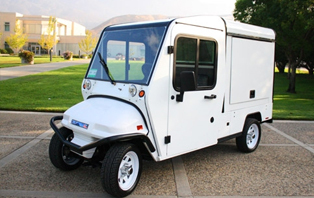 Driven to work, there’s a Summit Utility Vehicle for the college campus, the park system, the military base or the industrial complex. And, with zero emissions – your SUV is even friendly to the indoor environment.